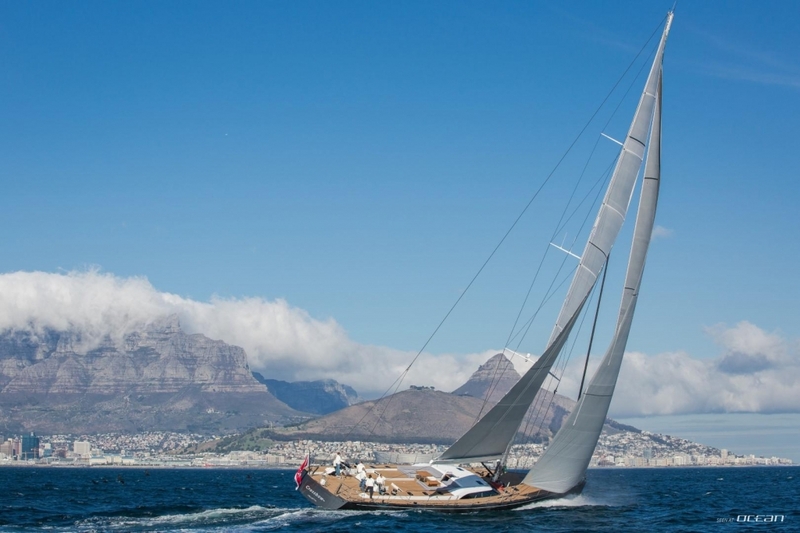 The ultimate Southern Wind luxury performance sailing yacht CROSSBOW is now available for charter. 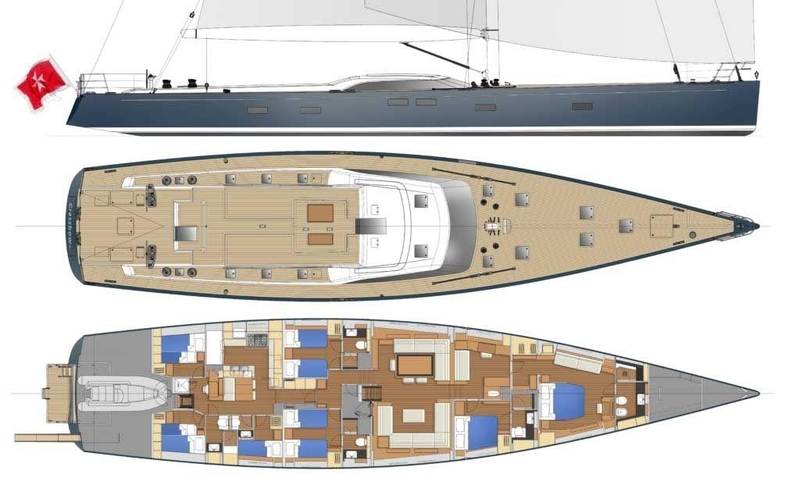 Nauta Design responsible for interiors teamed up with Farr Yacht Design appointed for naval architecture to built the maybe best Southern Wind yacht on the charter market at all. 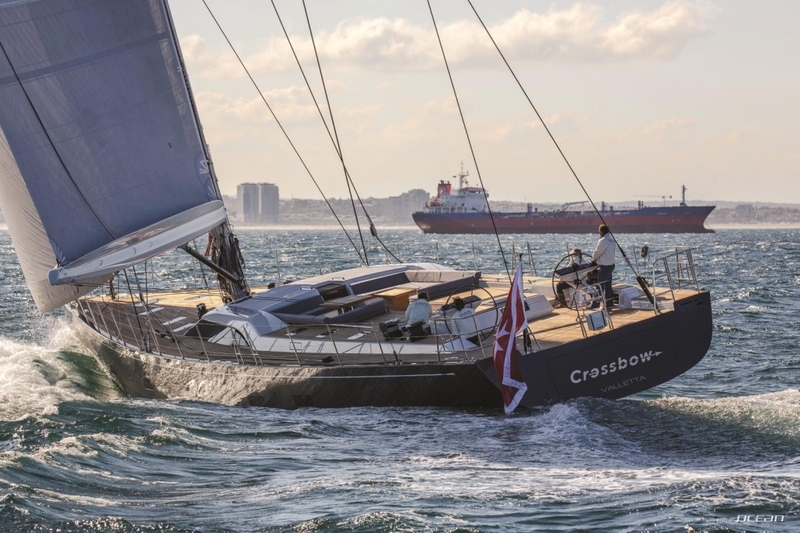 CROSSBOW charter yacht represents the ideal combination of a luxury performance cruising yacht perfect for families on one side and passionate sailors on the other side. 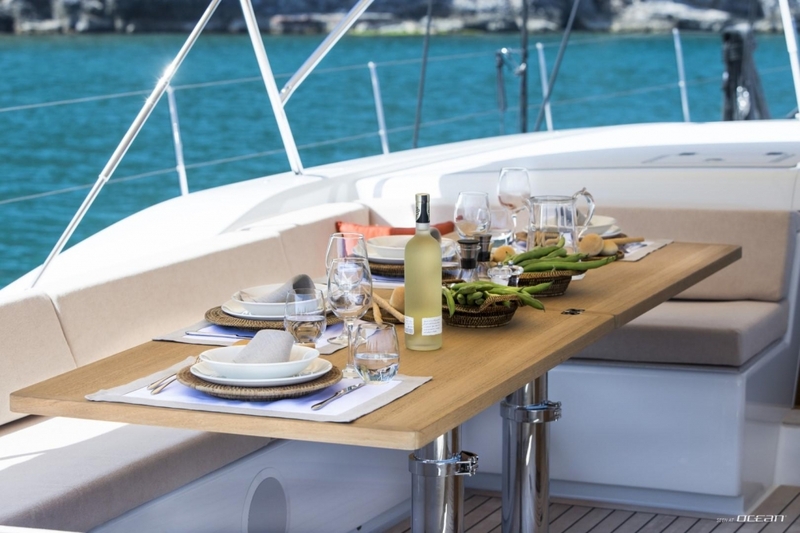 Combining the best features of both a flush deck and deck saloon configuration, the design of sailing yacht CROSSBOW blends a sleek deckhouse and uncluttered lines with higher ceilings. Boasting generous and unparalleled exterior areas perfect for sunbathing, relaxing and socializing, CROSSBOW yacht for charter also scores with its clean and welcoming cozy interior featuring 270-degree panoramic windows in the spacious saloon. Combining lightly bleached oak paneling set off by walnut stainless steel details with upholstery in an off-white and red color scheme the interior delivers bright colors guests will love to indulge in. Four well-appointed guest cabins provide luxurious and comfortable accommodation for up to 8 guests comprising a large master suite forward complete with sofa and vanity desk as well as an own private studio for personal activities. It goes without saying that all cabins are equipped with individually controlled air condition units and ensuite bathrooms facilities. 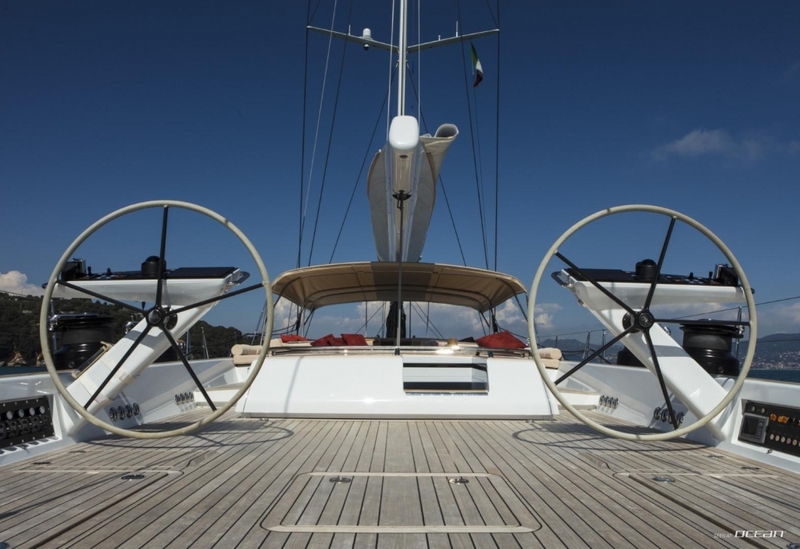 Sailing yacht CROSSBOW for charter comes with a tender garage housing a 4.20m tender perfect to take guests to the shore at shallow and secluded beaches as well to entertain them with watersports activities. 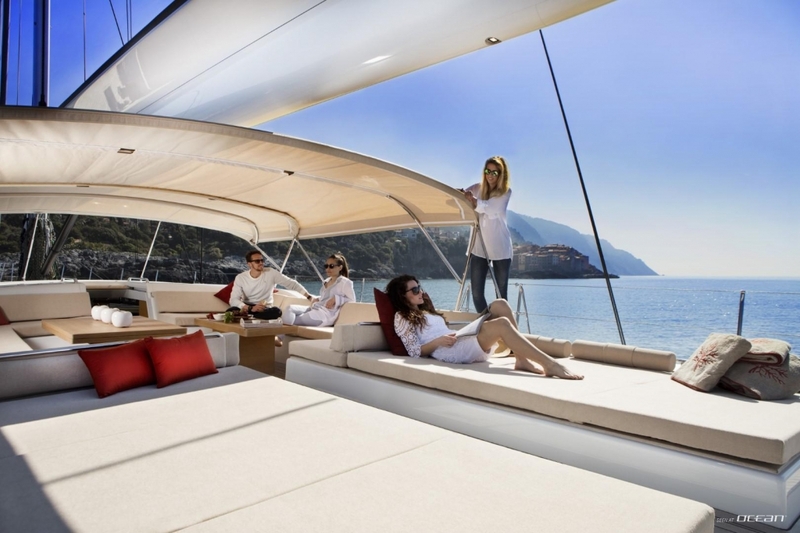 However, the most distinguishing feature of CROSSBOW Southern Wind Yacht is her crew. 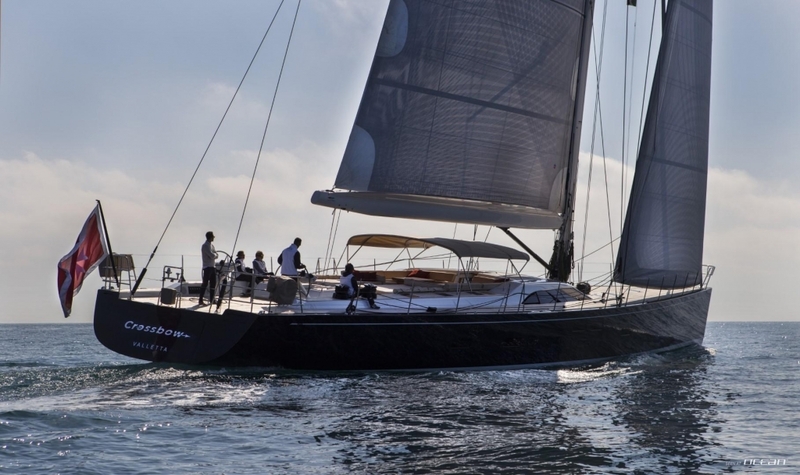 An impeccable long-standing proven team of 5 being, your guarantee for an unforgettable sailing holiday, and our, for gaining you as reverting clients for charter yacht CROSSBOW. Accomodated aft in 3 crew cabins the layout puts guests' privacy to the fore. 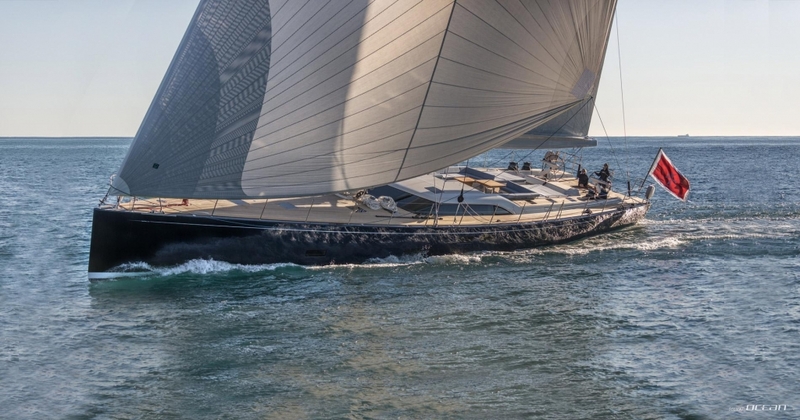 Being a superyacht experience par excellence in the 100-footer class, S/Y CROSSBOW sails the Mediterranean during summer months as well as the Caribbean during winter season. 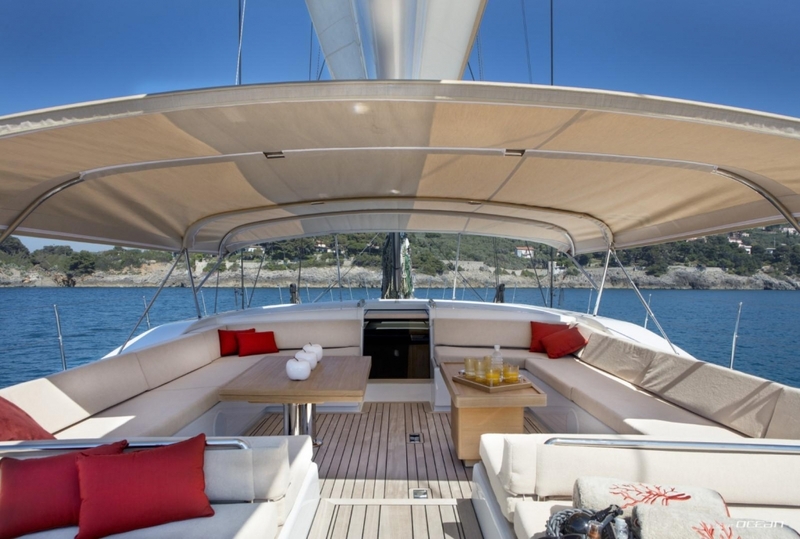 Southern Wind SW102 CROSSBOW is available in the West Med during summer season and will be sailing the Caribbean during winter season including New Year and Christmas holidays.